The first workshop in a series of demonstrations on all things gardening. Garden Tour, Chat & Refreshments. 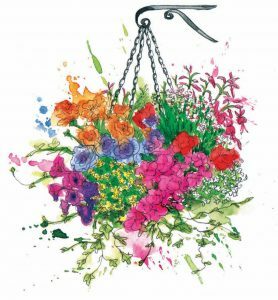 The first 20 applicants will be entered in to a draw on the night for a free Hanging Basket. Due to high demand the Handing Basket Workshop is now closed to applications. Many thanks for your interest. Check back to get details for next month’s event.